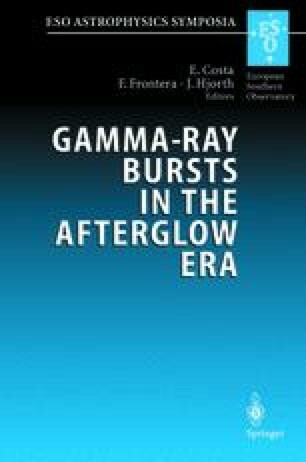 We report the discovery and follow-up observations of the afterglow of GRB 000131. The optical identification was made with the VLT, 84 hours after the burst following a BATSE detection and an Inter Planetary Network localization. Broadband and spectroscopic observations of the spectralenergy distribution reveals a sharp break at optical wavelengths which is interpreted as a Ly\(\alpha\) absorption edge at 6700 Å. This places GRB 000131 at a redshift of \(4.500 \pm 0.015\).